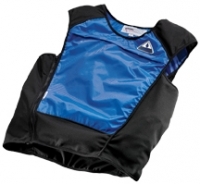 Children’s Cooling Vests use evaporative cooling to keep your children cool. Put in water for a couple of minutes to charge. 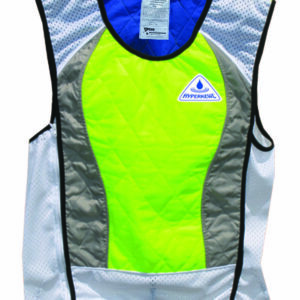 The vests can be recharged at any time as long as there is access to water. 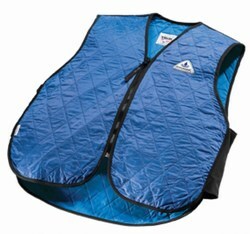 We have these blue kid’s cooling vests in stock. The sizes listed in the pull-down options are in our warehouse and normally ship the next business day. All you need to do is soak the vests to charge them. 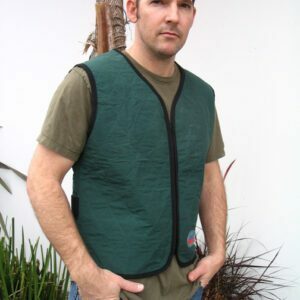 However, one idea is to carry your vests in a cool bag with an ice pack. That will keep them cool if you head out early but expect heat later in the day. We recommend going up in size. 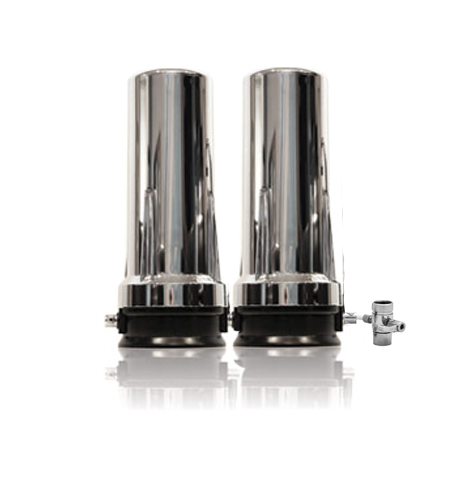 These can run small, and they don’t have to be tight to work. WE RECOMMEND YOU BUY UP A SIZE. This is certainly true with Children’s Cooling Vests so they don’t outgrow them too fast. They do not need to be tight to work well. Most wear them over clothes. There is no need for a tight fit.